Building typology comes in all shapes and sizes, each with its own unique design criteria. 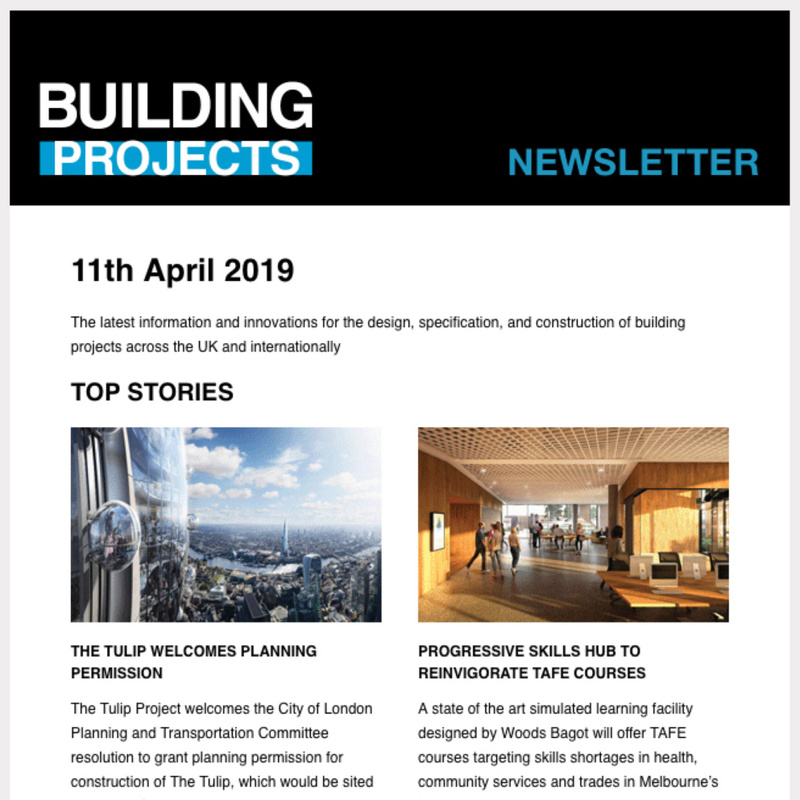 Frequently building services, heating, ventilation and air conditioning in particular can be challenging to integrate into a building design but experience shows that this does not necessarily have to be the case. Working with underfloor air conditioning over the past 30 years, we can demonstrate here that such systems have a number of benefits in design application that ultimately make it the ‘system of first choice’ when compared with alternative overhead and perimeter air conditioning systems and their practical application. Principally there are two different types of underfloor air conditioning (UfAC) system, the first being a full underfloor solution, with zone units supplying conditioned air, and receiving spent air via the plenum beneath the raised access floor. As it effectively becomes the ventilation zone, the plenum is divided into supply and return air paths using fire-resistant, air-tight silicone cloth. This first system is undoubtedly the best option if the brief is to expose ceilings and maximise headroom in refurbishments as it allows total elimination of any ceiling void. Another option is a system with a zone unit which supplies conditioned air via the floor plenum, but receives spent air at high level or via ceiling extract grilles. As there is no need to divide the floor plenum, this option permits freedom to maximise the floor plate as well as future flexibility due to the ease of reconfiguration. Refurbishment projects in the UK often have specific design criteria, dictated either by the client, or frequently by planning conditions. 8 Waterloo Place in the St James’ area of London is a classic example. The fabulous building constructed in the early 1900’s is Grade II listed and features ornate vaulted ceilings and decorative plasterwork cornices. Both the client and the architect specifically requested no services at high level in order to preserve and highlight these features using bi-directional up and down lighting. This immediately eliminated ceiling based air conditioning as an option. 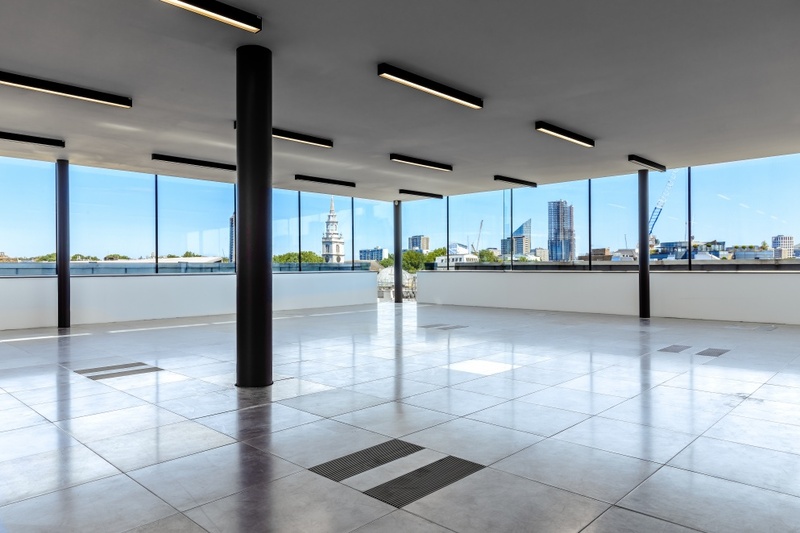 The seven storey building also has differing floor to ceiling heights on each floor, proving to be an additional challenge for investor Barings, whose aim was to create the highest quality, modern office space at the prestigious Mayfair property. 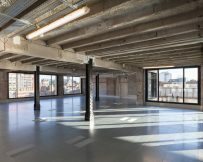 A full underfloor air conditioning system was subsequently specified for floors 1-4 of the building, which all had an existing 300mm floor plenum. The height restriction of the dormer fifth floor only permitted a very shallow floor plenum, so a perimeter system was adopted for this space. 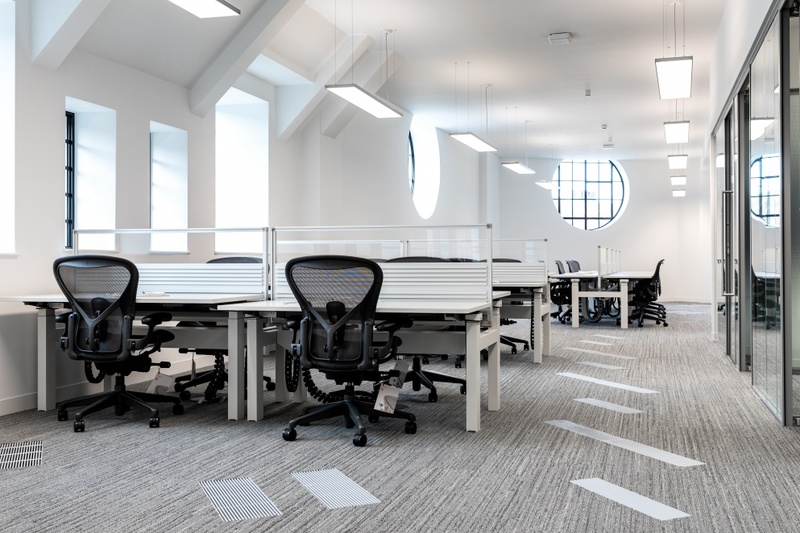 The end result of the refurbishment was 70 per cent occupancy in a very short period of time, the building attracting high profile tenancy and achieving high levels of rent, “…a truly special building”, comments the MD at Barings Real Estate. Another refurbishment project to reference is 33 Glasshouse Street, London, prominently located on the corner with Regent Street, a fusion of three buildings and with a Grade II listed façade, varying slab heights and low floor to ceiling heights, developer Hermes set about a full “Cut and Carve” structural reconfiguration to form larger, deeper, open plan floor plates and increase the floor to ceiling height to 3.3m on floors 3-7. Another key building characteristic is the small windows and low natural light levels. 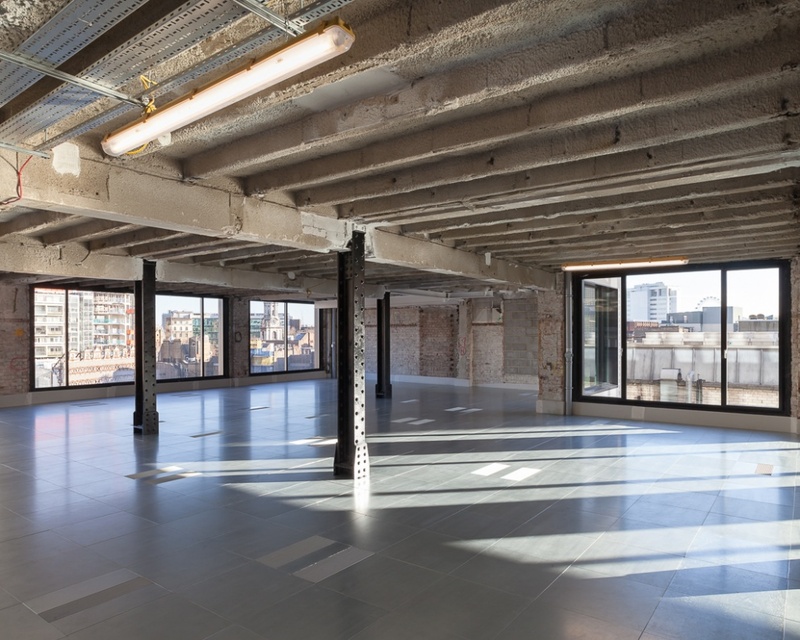 Underfloor air conditioning was specified to help maximise the floor to ceiling heights and permit the greatest level of natural light through the deep floor plates. 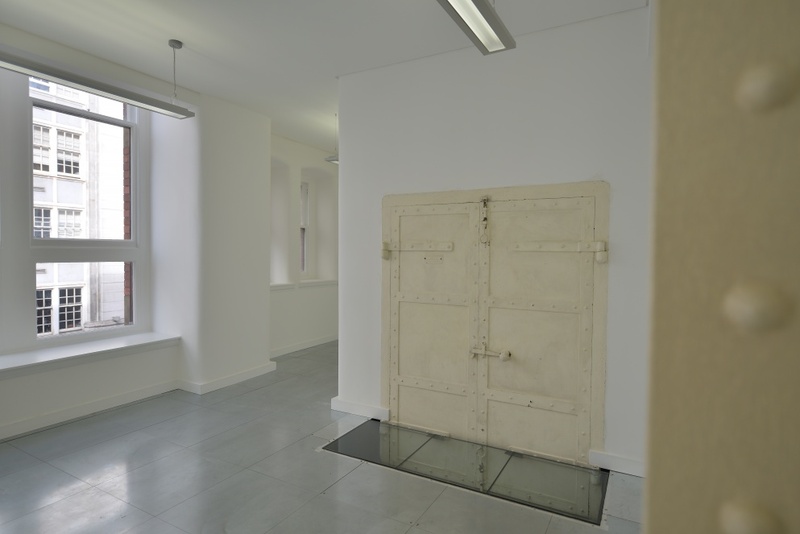 Perimeter heating and cooling would not have been effective given the deep floor plates and ceiling based air conditioning would have required a ceiling void that would virtually cover the low level windows, severely restricting light penetration. Even with the introduction of a raised floor system and underfloor services, the down stand beams are clearly visible underneath the window line, but this only serves to highlight the unusual building characteristics in an effective way. The end result, another achievement by the project team with a successful outcome. Prime, modern office space attracting the highest calibre occupants, commanding premium rates. September 2018 saw the completion of the tenant fit-out on three floors of the building for one of the world’s biggest tech giants. Design freedom with underfloor air conditioning is not only apparent in refurbishment projects, over the last three decades, our systems have also helped new builds achieve their design objectives, whether by using a full underfloor system, or simply integrating floor recessed Fantiles with Displacement Ventilation or other HVAC systems. At Cathedral Hill in Guildford, UfAC was used to cool the atrium area where overhead services could not be used. At First Point, Gatwick, adopting UfAC saved 2m in height compared with an identical building at Heathrow with ceiling services. At the expansive Sky Central Campus, UfAC Fantiles are used to enhance the Displacement Ventilation system by boosting cooling in the cellular meeting pods, and at the award winning Here East Innovation Centre, UfAC has been innovatively integrated with overhead services offering fully flexible and functional workspace for the start-up community. 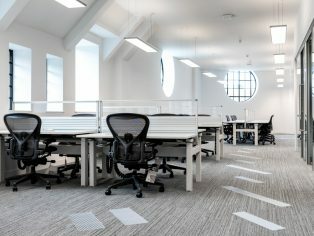 The above are just a few examples of how innovative thinking and design application has encouraged the uptake of underfloor air conditioning and promoting it as a viable solution to wide ranging design challenges in new build and refurbishment projects, helping property owners and agents to differentiate their offering and create world class workspace.